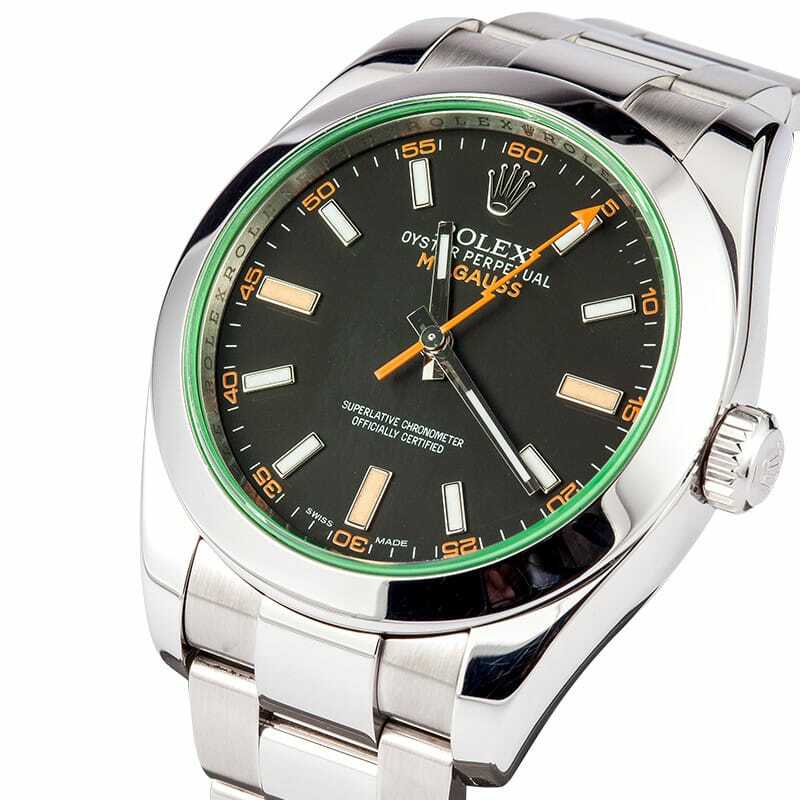 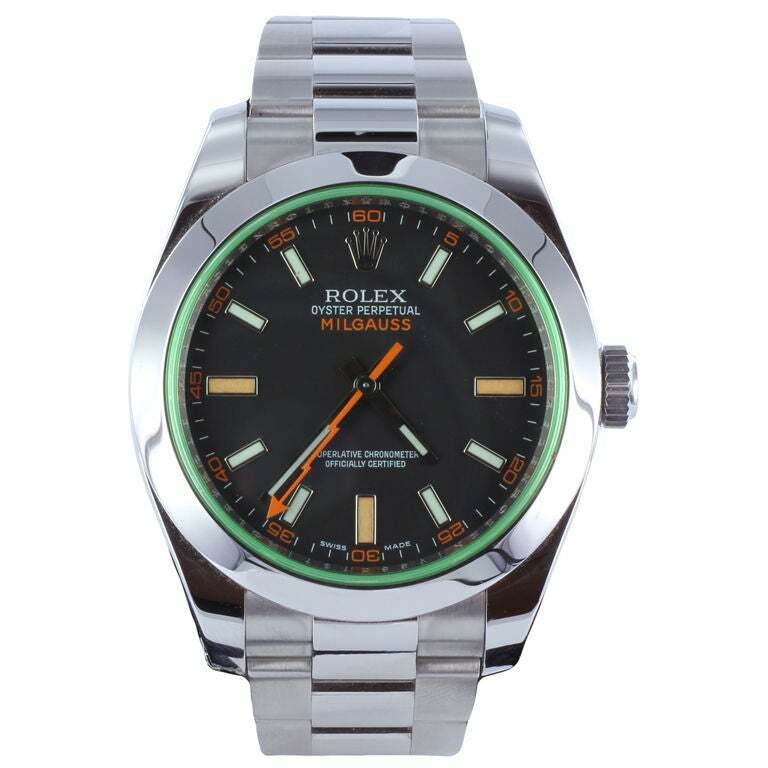 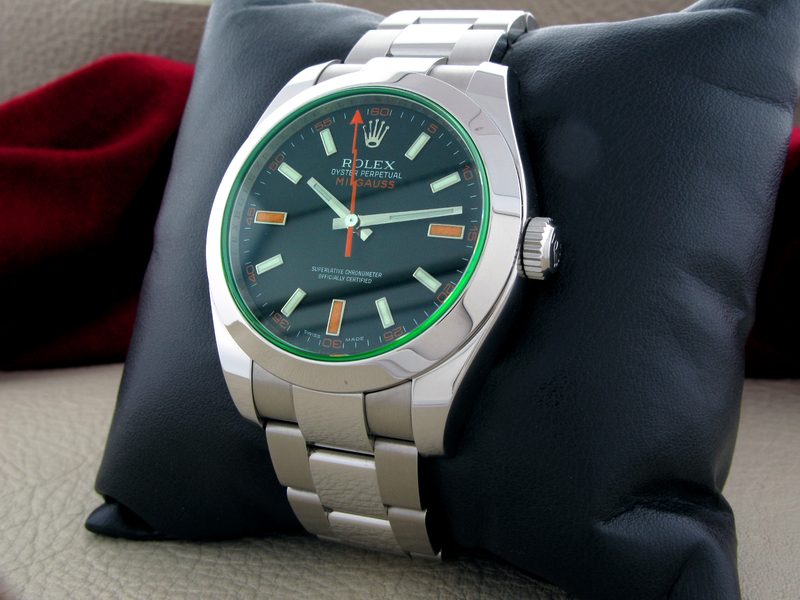 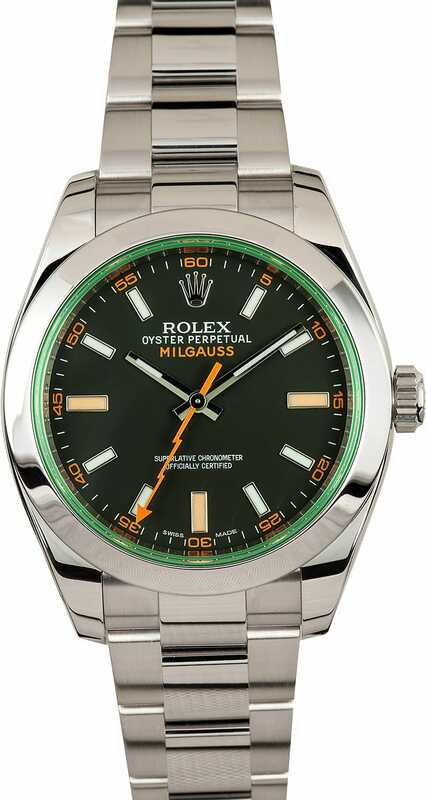 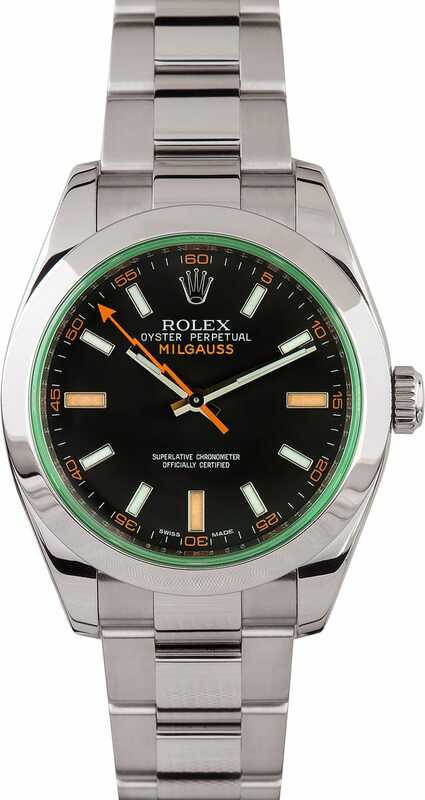 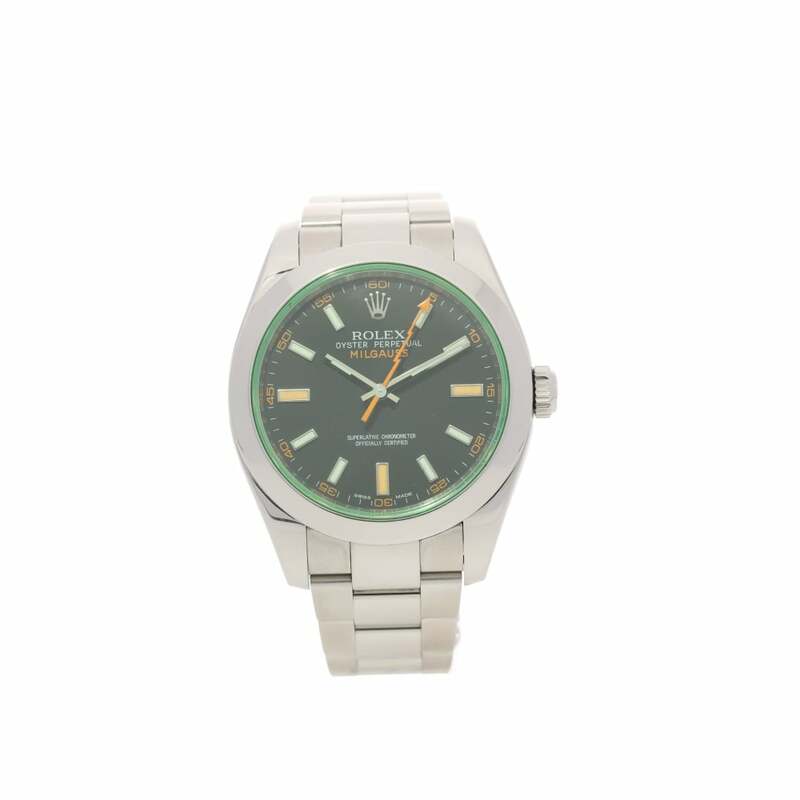 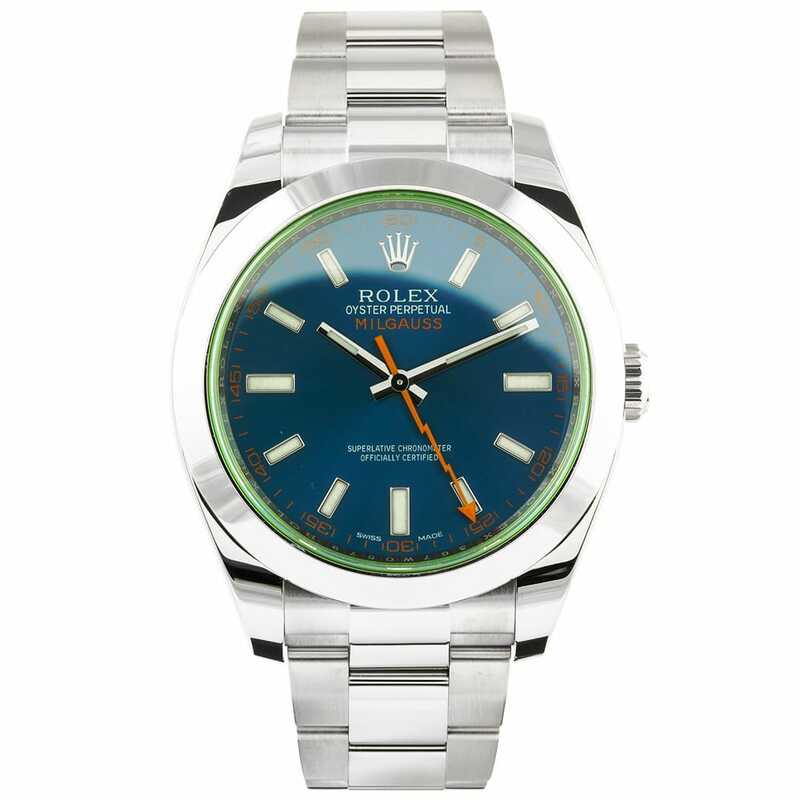 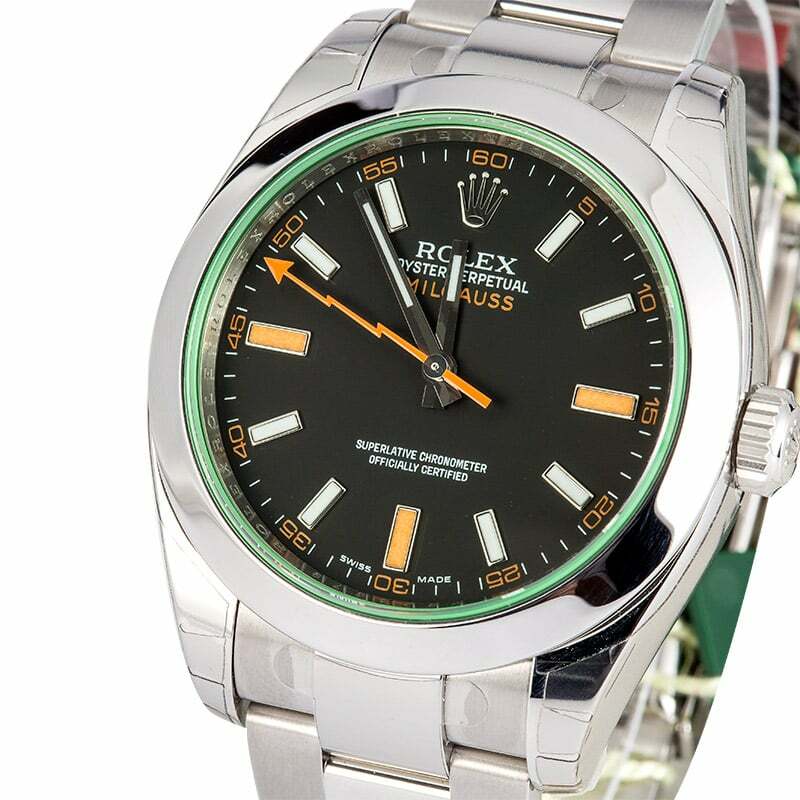 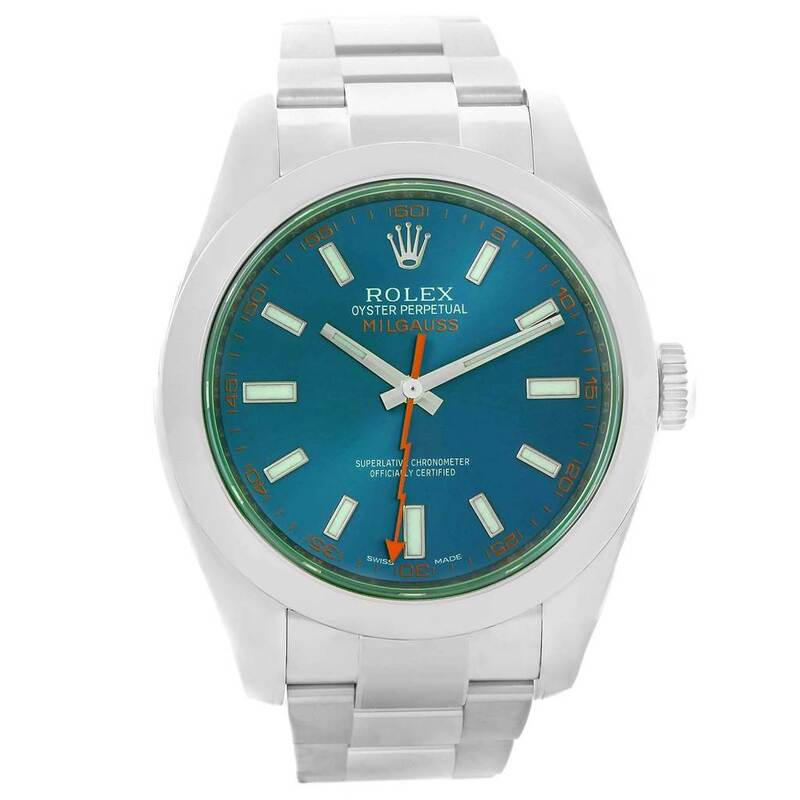 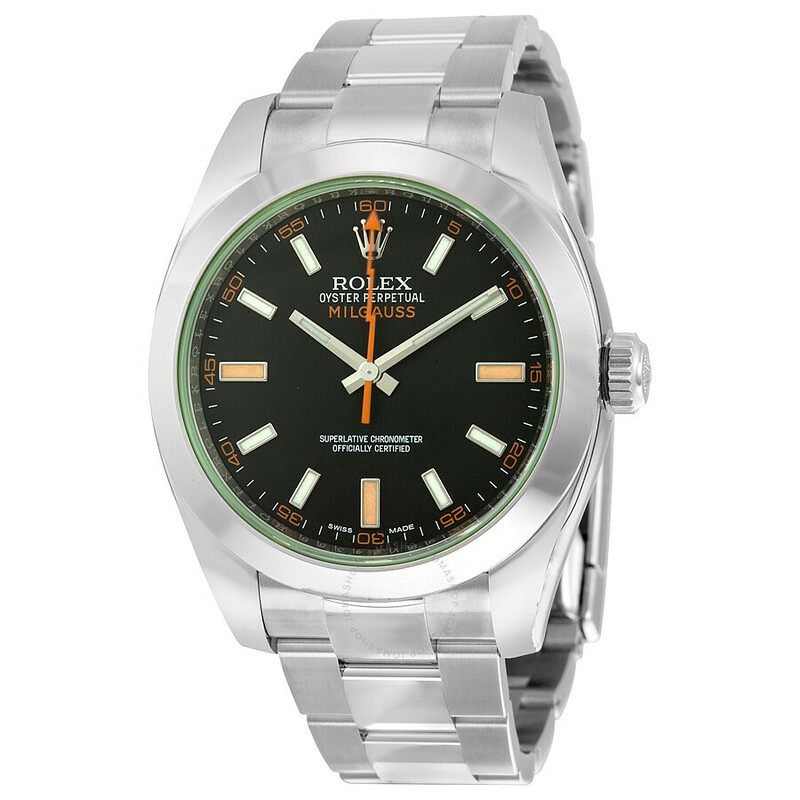 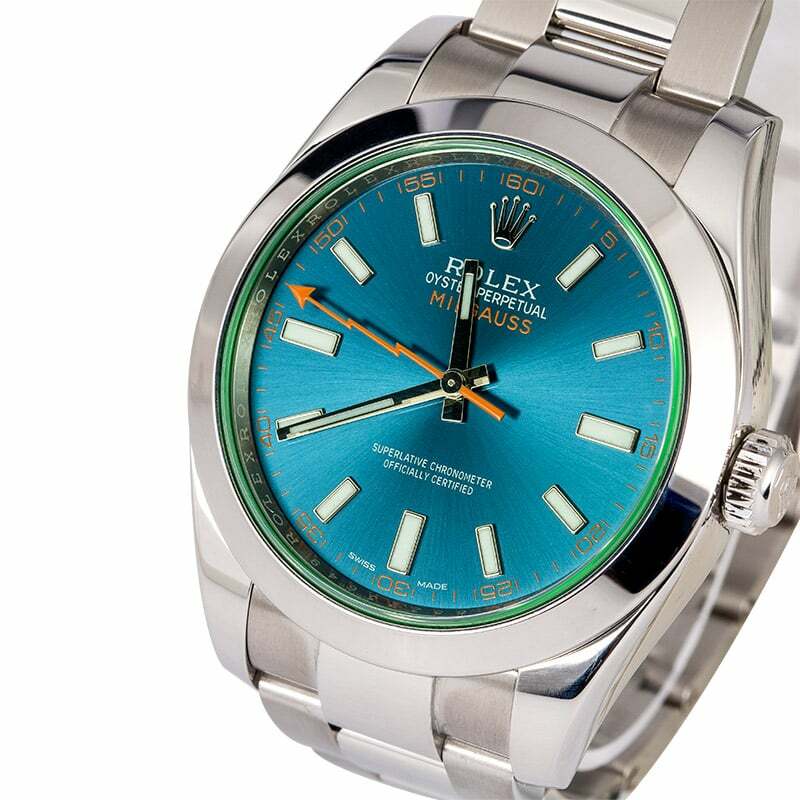 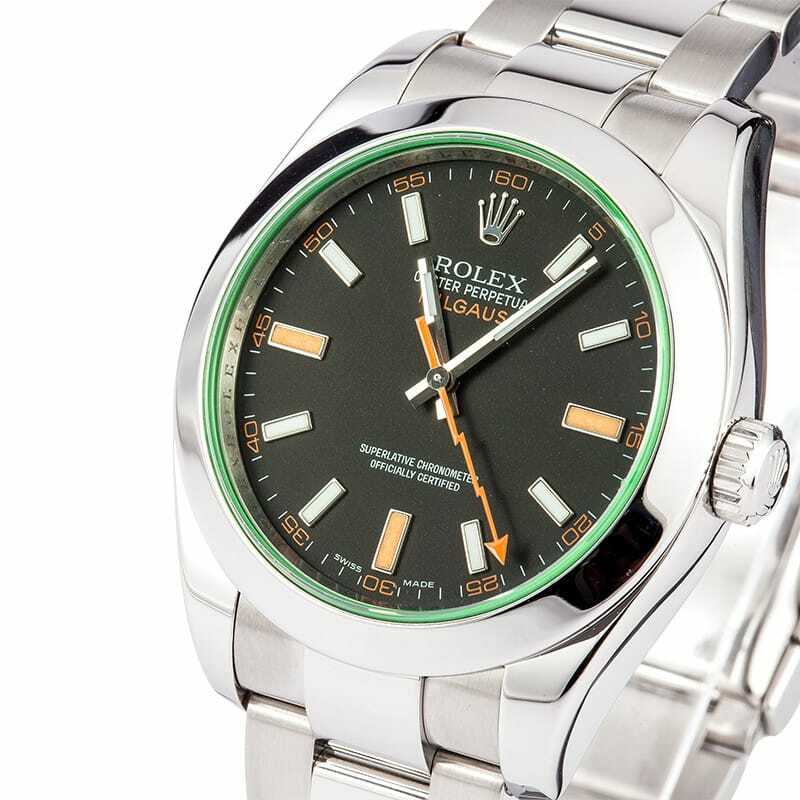 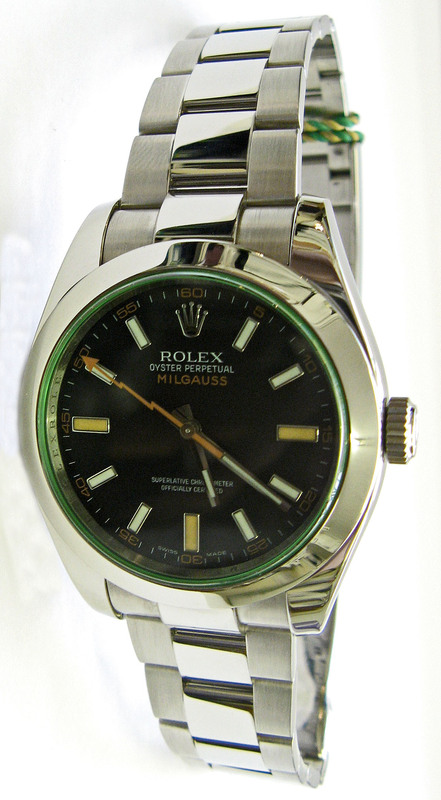 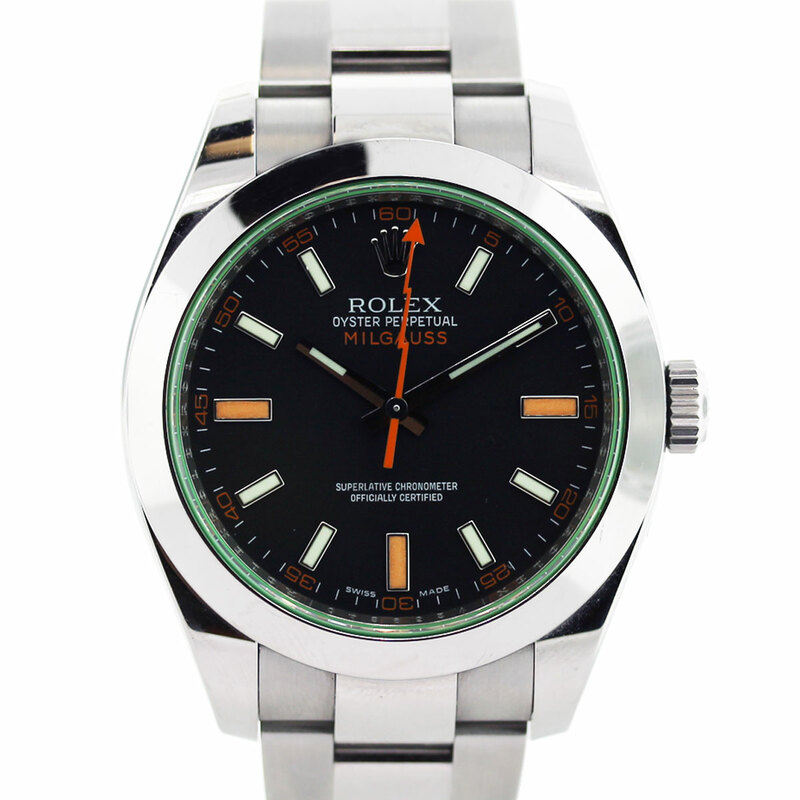 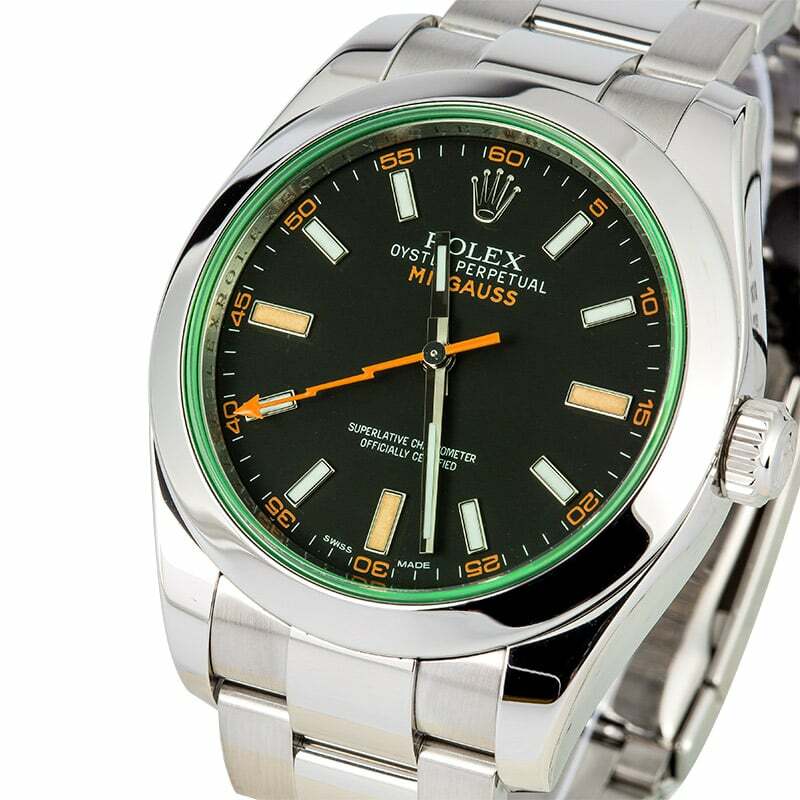 The Rolex Oyster Perpetual Milgauss is a wristwatch model introduced by Rolex in 1956 with model number 6541. 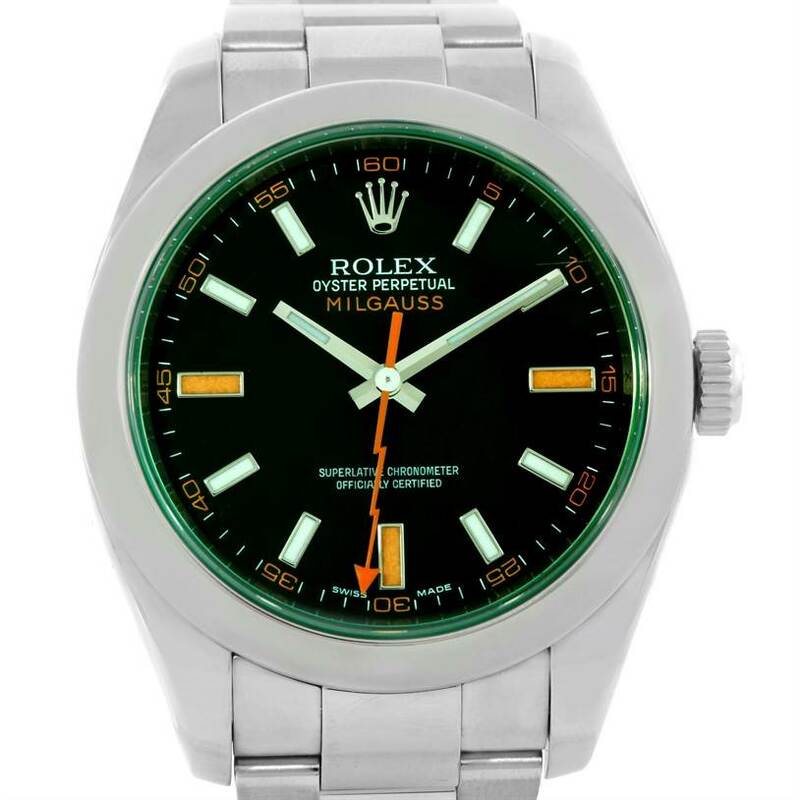 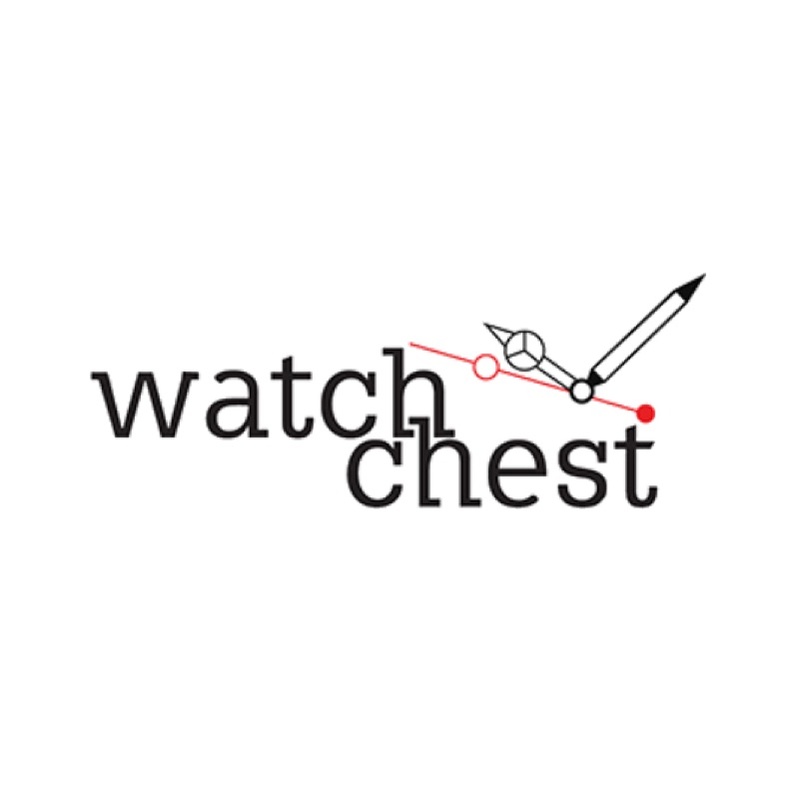 The Milgauss was designed as an antimagnetic watch specifically for those who worked in power plants, medical facilities and research labs (like CERN in Geneva) where electromagnetic fields can cause havoc[clarification needed] with the timing of a watch. 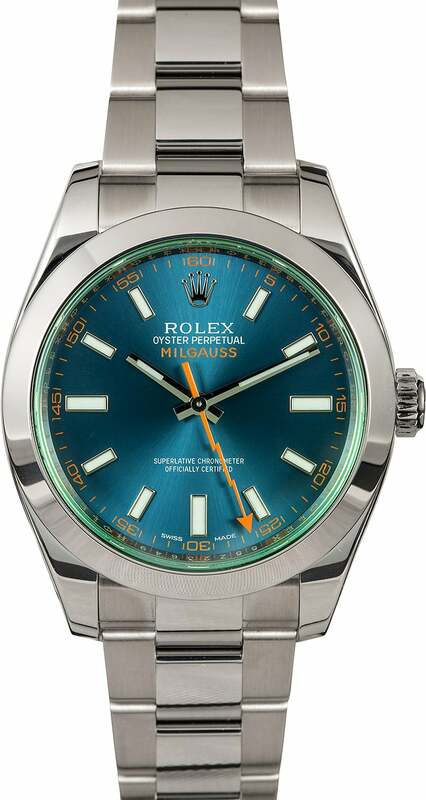 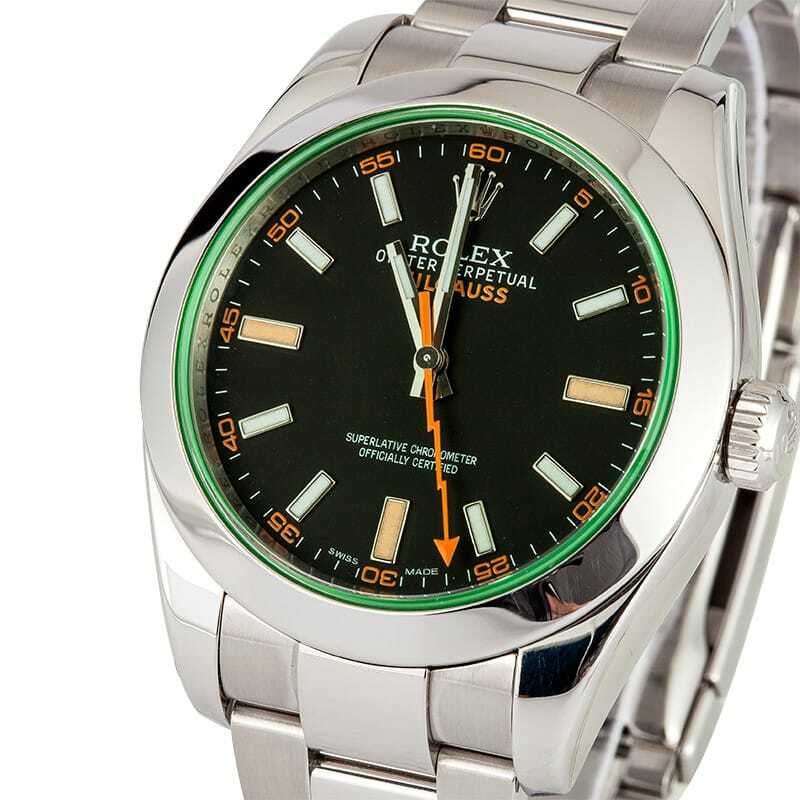 The current (post-2007) model Milgauss is equipped with a non-magnetic alloy (Parachrom-Blu) hairspring and a movement encased by a magnetic shield, most likely[vague] composed of a high magnetic permeability material (see Mu-metal or Permalloy). 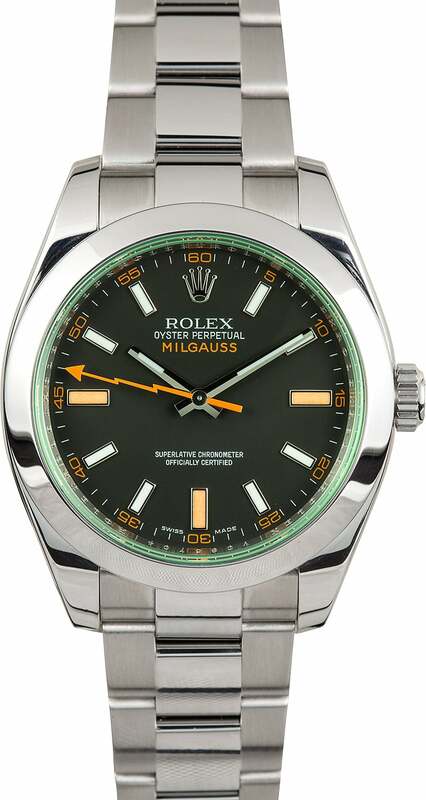 The name Milgauss is derived from the Latin mille, which means one-thousand, and gauss, the unit of a magnetic field. 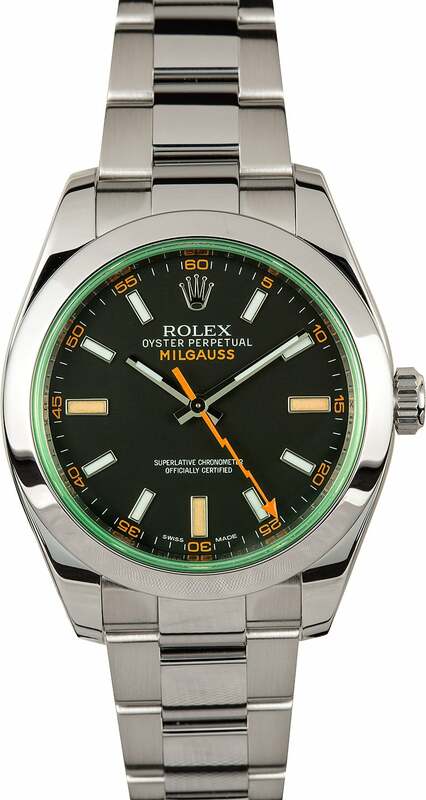 This model is so named because it can withstand a magnetic flux density of 1,000 gauss.